Road Trip has officially been launched and is in stores now! 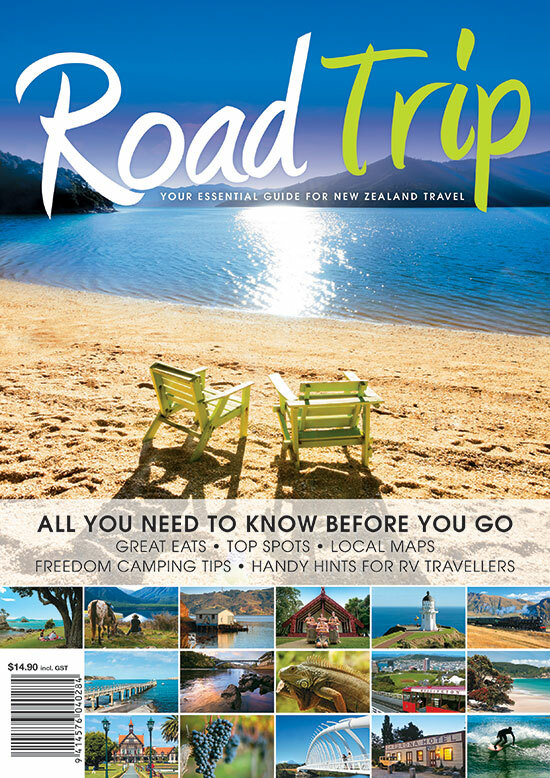 NZ Motorhomes, Caravans & Destinations latest 'mook' is a compact format 250 page book, designed to be the perfect companion for RV travellers in New Zealand. The richly illustrated book is divided into 16 regions with subregions showcasing the highlights of each, as chosen by award-winning travel writers. It is designed for travellers by travellers to reveal the breathtaking beauty of our country in an easy accessed format, distinctly geared to RV travellers. Readers will also get up to the date information on free camping, top holiday parks and dump stations. You can find your copy in stores now or online at MagShop.